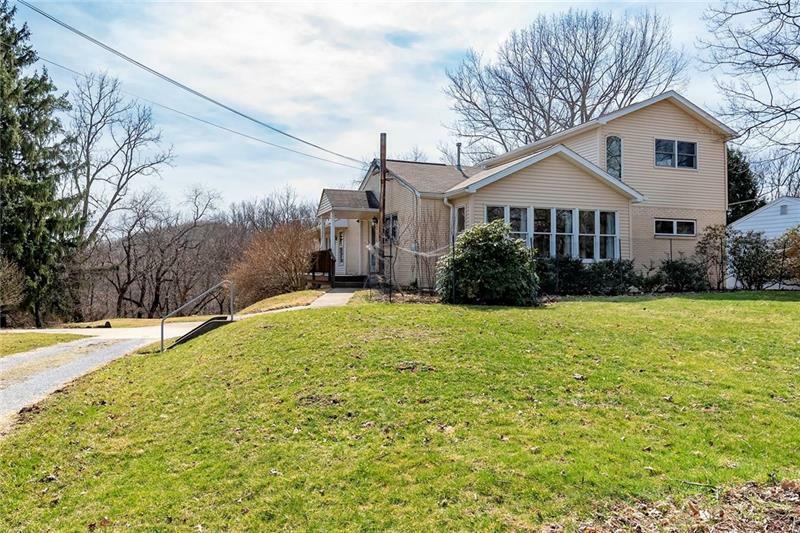 Charming Cottage Craftsman Style Home on a 1 Acre Lot Minutes to the Sewickley Village, Downtown PGH & the PGH Airport. Spacious Living Room w/Newer Hardwood Flooring & Great Natural Light. Newer Kitchen/Dining Area Addition w/Spacious Center Island, Granite Counter Tops, Tile Backsplash, Cathedral Ceiling, Writing Desk, & Two Large Pantries. Easy Access to the Spacious Wrap Around Deck for Entertaining & Grilling Ease. RARE Main Level Master w/Great Closet Space. Two Children's/Guest Bedroom on the Main & a Full Bath with Newer Custom Ceramic Tile Shower Surround. The Second Level is Home to Two Spacious Bedrooms and a Full Bath. The Basement Has a Third Full Bath for Convenience, Laundry Area and Amazing Storage. This Level Walks Out to the Rear Yard. Ideal for Pets or Play, the Spacious Rear Yard is Ready for Your Vegetable/Perennial Gardens. Don't Miss the Attic Storage and New Furnace. A Wood Burner is Still Operational In the Home for Those Who Seek Energy Efficiency.